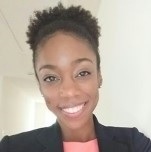 Chelsea McCune , Chelsea is an Emory Alumna and Purdue University Global MPH candidate expecting to graduate in 2019. As UHI Volunteer Coordinator & Operations Manager she matches volunteers to projects where the community needs them most, and monitors and improves the volunteer experience. She also provides support to UHI communications, administrative operations, UHI event planning, and regularly dedicates service alongside community partners through data collection, health education, advocacy, and family fun!